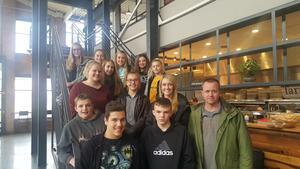 As part of a health and nutrition lesson, middle school teacher Melissa Thaler wanted to give her 8th-grade students a real-life experience in learning where their food comes from and how it's produced. Thanks to a grant from the Thornapple Area Enrichment Foundation, Thaler is able to take small groups of her students to a farm-to-table restaurant in Kalamazoo called 600 Kitchen. 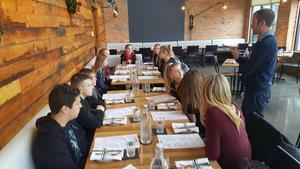 While there, students talked with the restaurant general manager. He told them about the importance of Farm-to-Table restaurants in supporting local farmers and the importance to consumers to know where and how their food is produced. "A great way for them to really understand the nutrition lesson is to experience healthy food choices during a field trip," said Thaler in her application to TEAF for the grant. She said the experience also teaches students about growing some of their own produce even in small spaces. The restaurant works with Middleville's Otto Chicken Farm as one of their local farm providers. 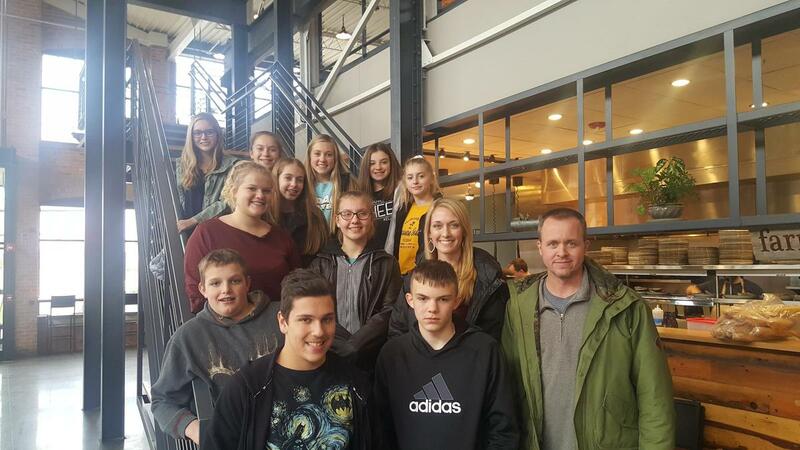 Students said they had a great time and a good experience where they learned a lot about locally grown foods and why it is important for them to understand where their food comes from. The farm-to-table movement has become more popular with changes in attitudes about food safety, food freshness and small farm economics.